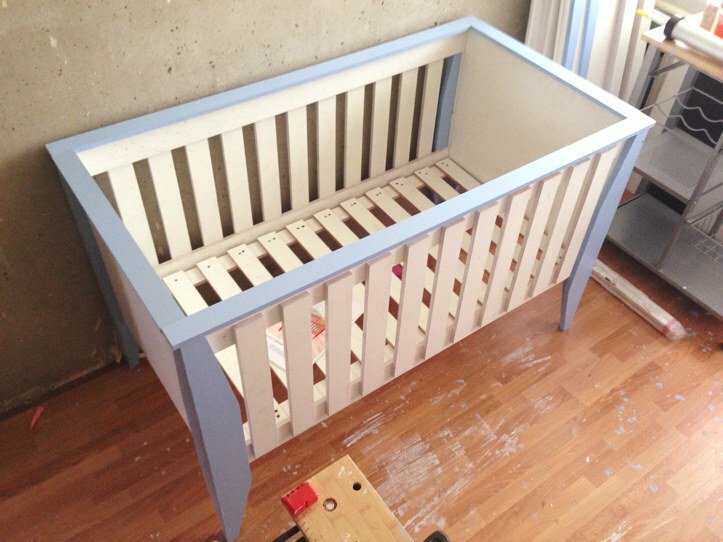 If you want to make DIY furniture for the nursery then you have a large choice. 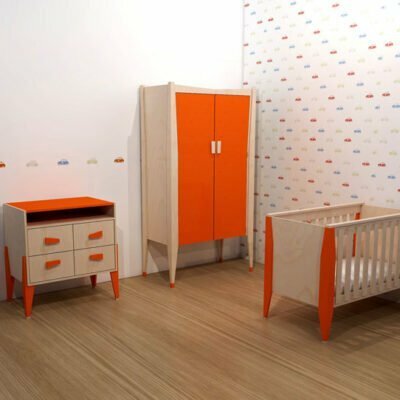 You could, for example, make a set comprised of a cot, changing table and wardrobe. 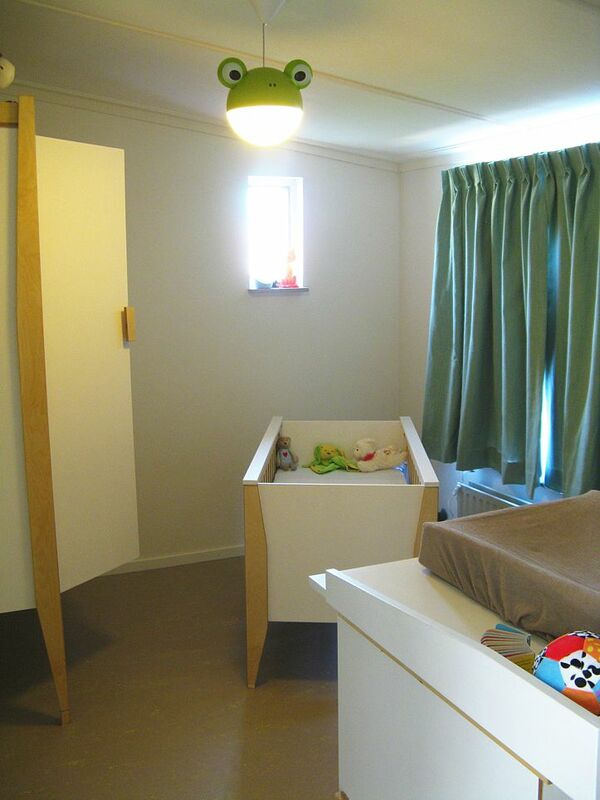 Or just the cot or changing table, or two from the three. 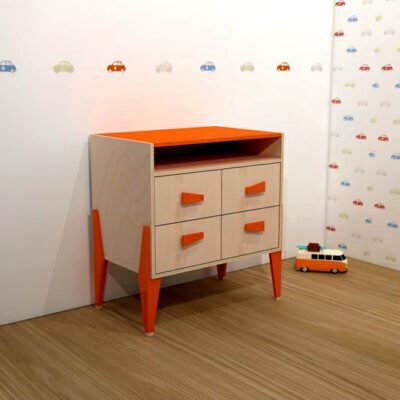 It’s really fun to make furniture for the children’s room yourself. And children just love it! Previously, it wasn’t uncommon for a crib or cot to be made by the father, grandfather or other family member. This furniture was often passed down from generation to generation. Nowadays, with a view to sustainability, this tradition is again becoming more common. 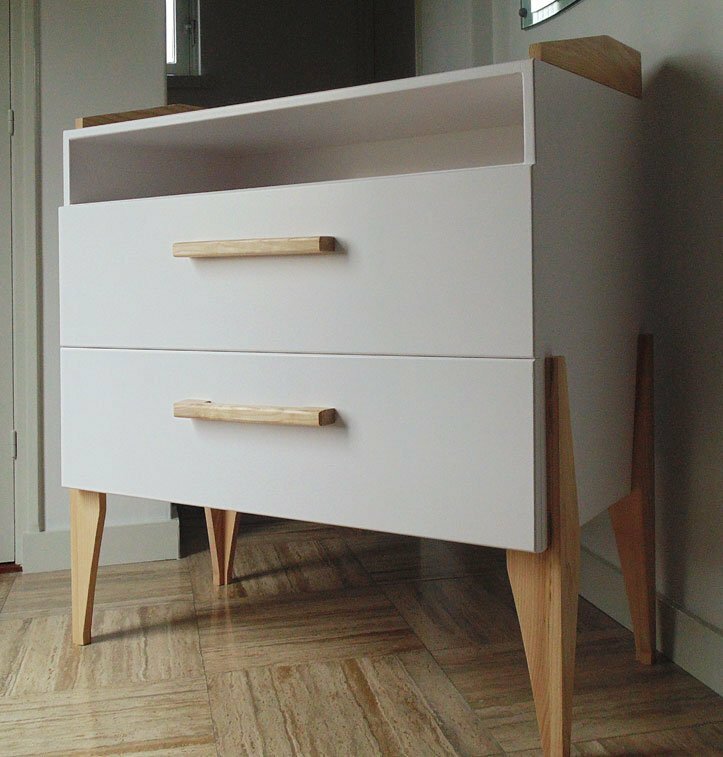 Or perhaps you simply find it enjoyable to make your own furniture, you like to work with wood and enjoy the satisfaction that comes from building something yourself. 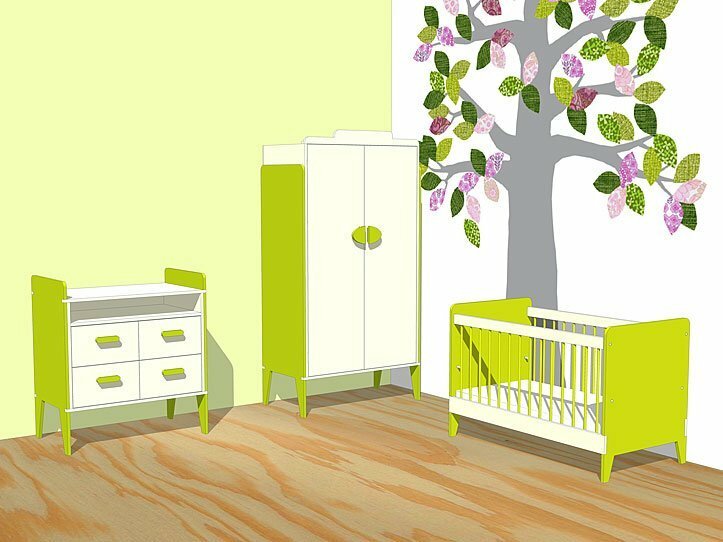 More and more people, especially those with small children, prefer to choose natural paint, oil or wax. That is also in your own hands. 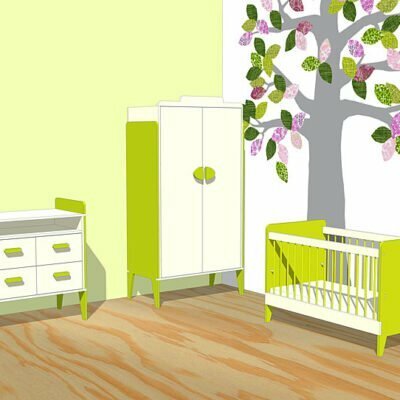 What makes a good piece of nursery furniture? Children’s furniture must of course be solid and stable. A sound construction is therefore important. 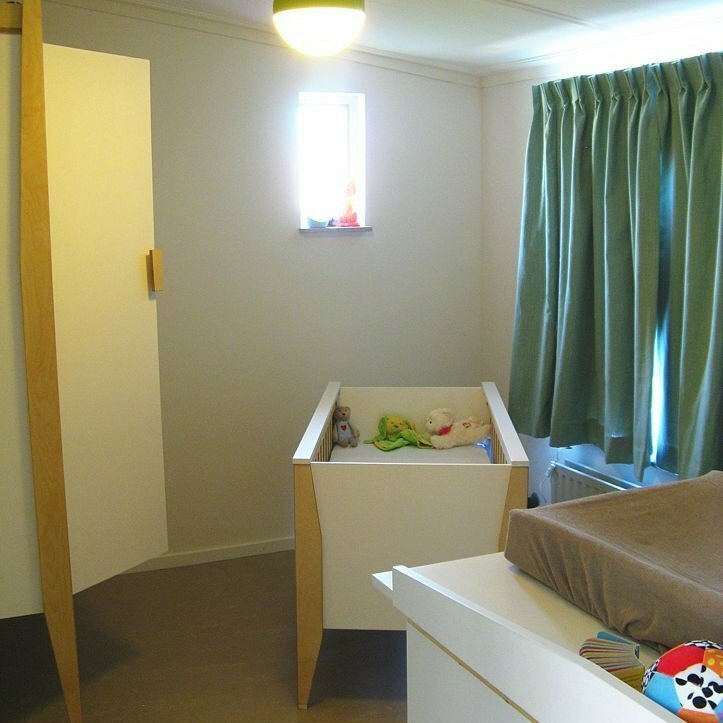 But there are also security and safety considerations, particularly for cots and children’s beds. On this Dutch site you can find the latest safety regulations. 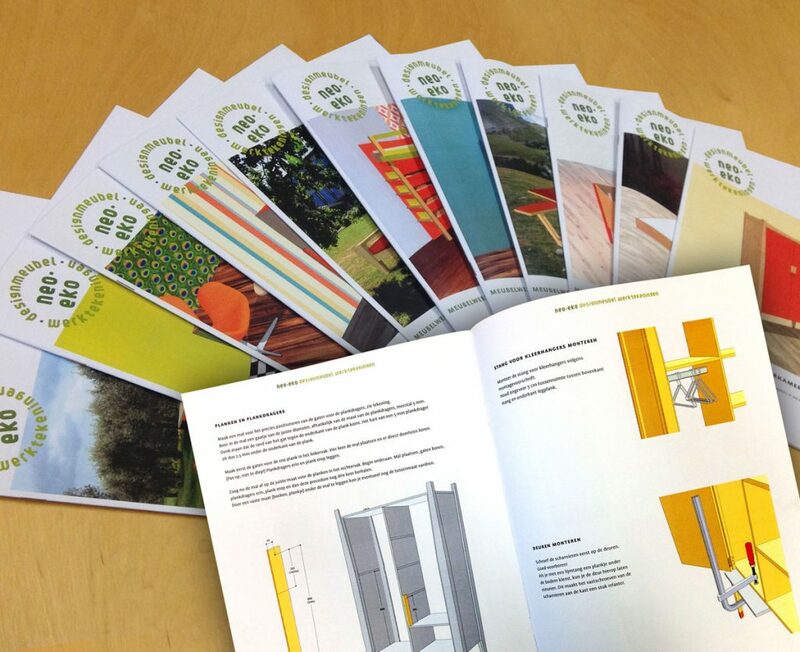 All of our designs conform to the latest safety standards. 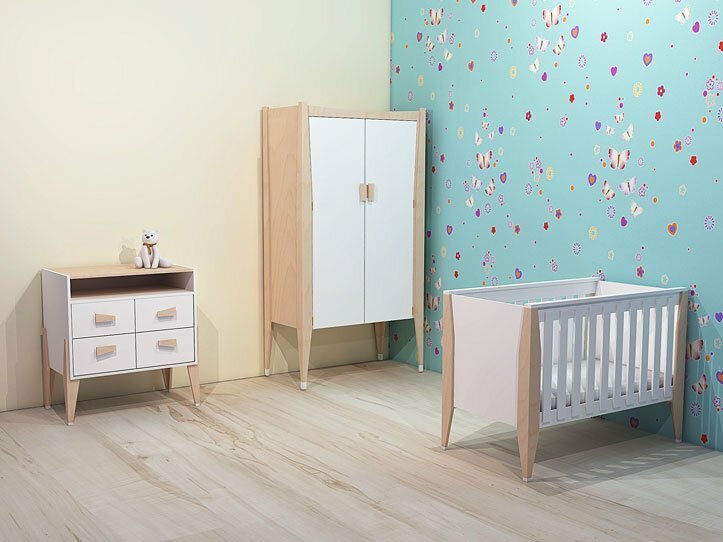 Other considerations: nursery furniture should look nice (both for you and the children!) and match the style of your interior. You can say that that is subjective, but almost everyone agrees on a clean design and good, beautiful materials. Taste is of course debatable. 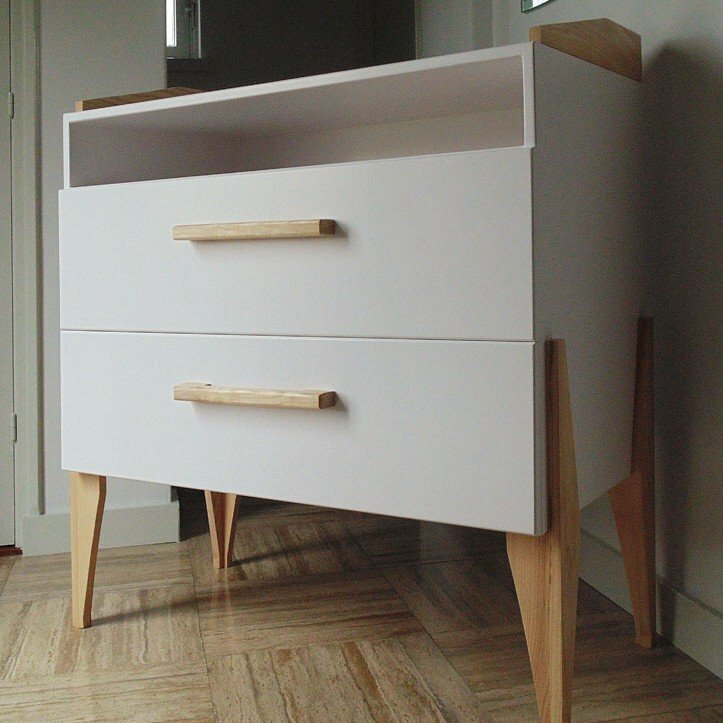 Many people choose for the colour white, often in combination with natural wood (see our ‘You made it!’ page). Materials, what are the possibilities? 1. Birch plywood, with its attractive light-coloured grain. Ideal to finish with varnish, oil or soap. 2. Okoume, beautiful colour (reddish / auburn) and grain and suitable for outdoor use. Also ideal for a transparent varnish or lacquer. 3. Meranti or similar hardwood, not quite as beautiful but strong and inexpensive. 4. 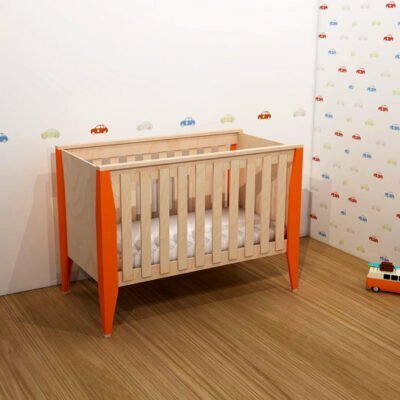 Pine plywood, basically a sheet material for out-of-sight structural use in construction, but the better – and more expensive – types are also suitable for building nursery furniture. Especially because they have a lovely light grain pattern. Good material is readily available, and if you go to a real wood merchant there is an ever wider range of beautiful wood, such as oak, cherry and maple. And usually planed and cut to size. 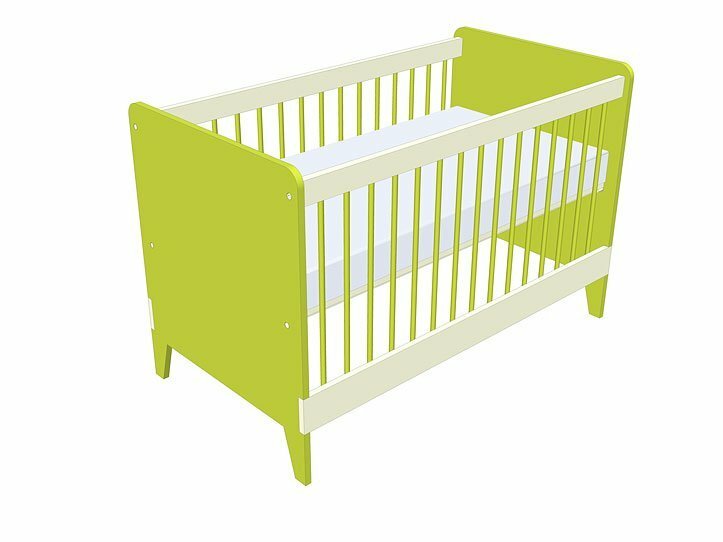 For cots and children’s beds, side slats or bars are also an appropriate addition. 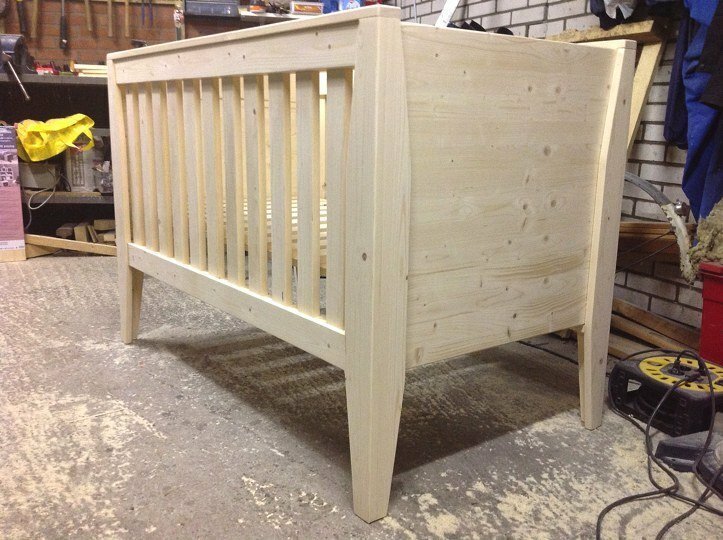 The design of nursery furniture should help both the practical day-to-day and longer term use. 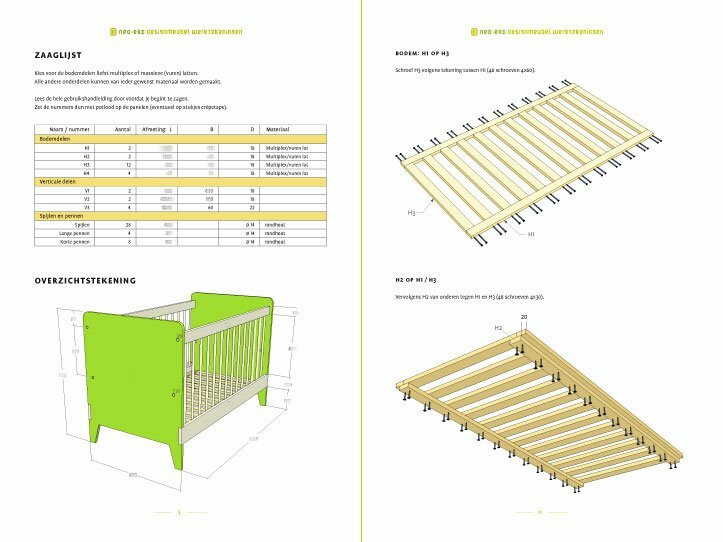 So pay attention to the height of the changing table and the crib. Can you adjust the mattress height? 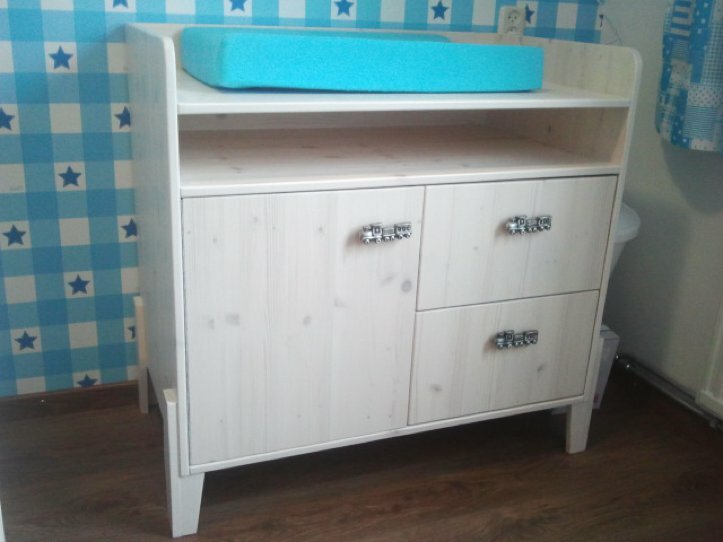 Drawers or doors underneath the changing table? 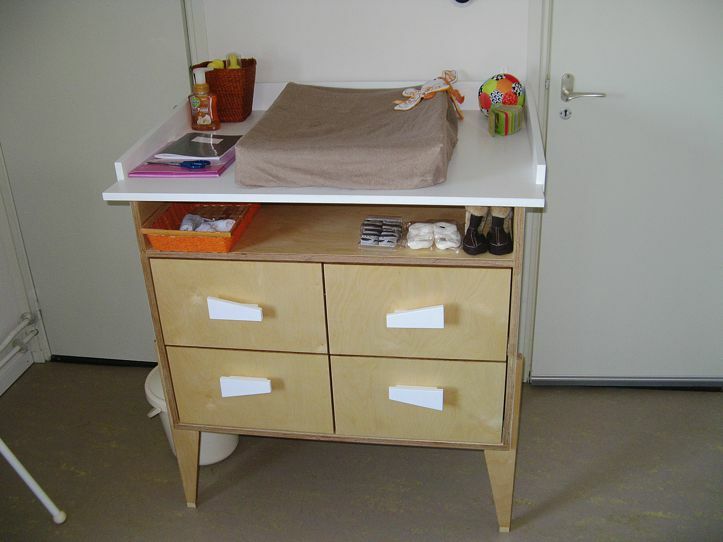 Can the changing table later be changed into a dressing table or chest of drawers? Can you use the wardrobe later for a teenager, both in terms of its form and its size? The quality should be solid and look nice and attractive. We see it as a challenge to make the construction sturdy, yet stylish. It is therefore important to join parts in a clever, but elegant, way. Then there are aesthetic requirements. Is the form well balanced? Are the dimensions in proportion? Are the form of the connections in keeping with the total picture? And does the design add to the strength? These are questions that you must be able to answer “yes” to before you start to build. It’s a shame to throw money, good materials and time at a project, without first taking account of these aspects. 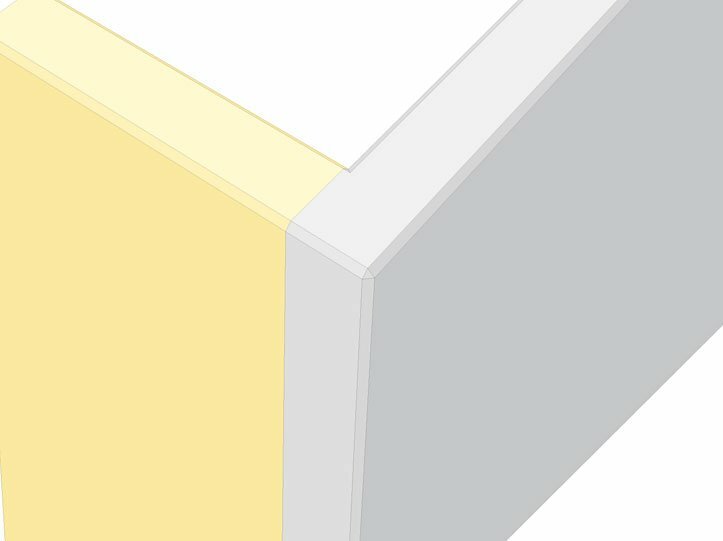 Before you start anything, it’s a good idea to read through our cabinetmakers tips. The various tips are very handy when you decide to begin work. 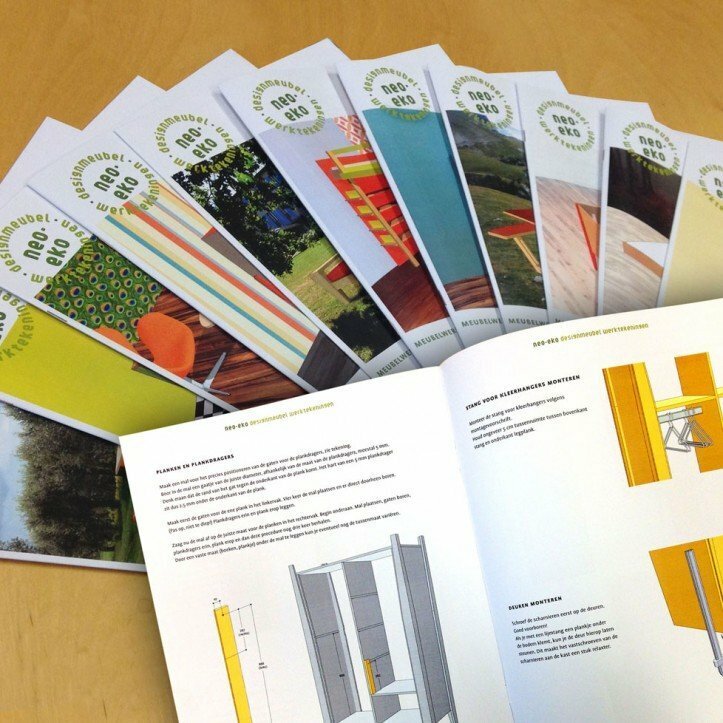 For those who purchase a DIY design manual from us, relevant tips are included in the step-by-step plan. When you are satisfied with the design, you are then ready for the next step: an inventory of what you will need. What will you require in terms of tools and materials for joints (screws, dowels, glue, etc.) and finishing (sandpaper, paint, varnish, oil, soap, wax, brushes, rollers, etc.). 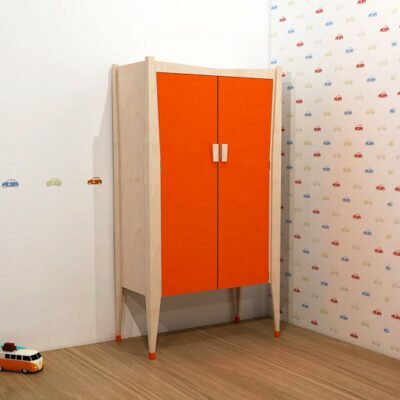 For wardrobes and changing tables you need to include hinges and possibly drawer runners. Sort these things out from the start, the different types have consequences for your design. When you go to purchase the wood you’ll need a cutting list detailing sizes and quantities of the constituent parts. 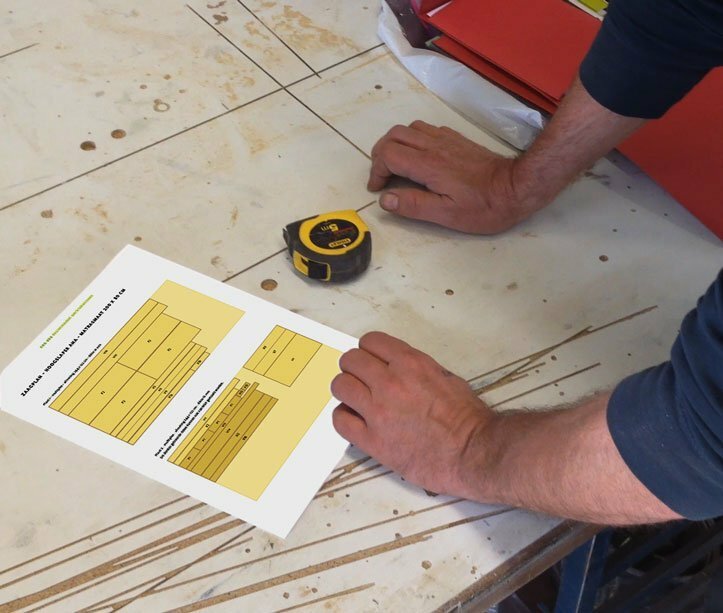 Sometimes it’s useful to make a cutting plan or diagram, in which you indicate the most efficient way to saw the parts out of sheets or planks. You therefore have some check over the quoted cost from your wood supplier. All of our instruction manuals include a cutting list and, where necessary, a cutting plan. There is a computer program that allows you to make a cutting plan. Certainly for multiple pieces of furniture, a cutting plan is really useful to cut out the panels as efficiently (cheaply!) as possible. When you have all your materials ready, you can prepare the component parts. Lay out all the parts and mark with a pencil where joints and connections need to be made (holes, notches, etc.). It is also wise to give all parts a name or number so that in a glance you can see what each part is and where it belongs. Once you have done this, you can do a “dry-run” and fit everything together without glue. You’ll soon see if everything is in order. All pieces can now be taken apart again. Now is the time to at least sand any parts that will be visible. You might want to mark a (pencil) cross on anything that will not be visible. It is almost always a good idea to sand or plane any visible sharp edges, so-called chamfering or bevelling. Above all it’s friendlier for children’s hands and feet. Once all parts are prepared and “cleaned up” (sanded, chamfered), there are two ways to proceed with the following step. You can either first apply your chosen finish (paint, varnish, oil, wax, soap, stain, etc.) to all the parts, or you first put everything together and then apply the finish. If you are going to spray your chosen finish then it is best to do the latter. Take care in this case that you reach all areas. If not spraying, it is generally easier to first apply finish to all the individual parts before assembly. Be careful not to apply any finish to surfaces that will be glued. Mark these with a pencil and/or mask the area with masking tape. If all is well and all parts fit neatly together, you can proceed to join everything. 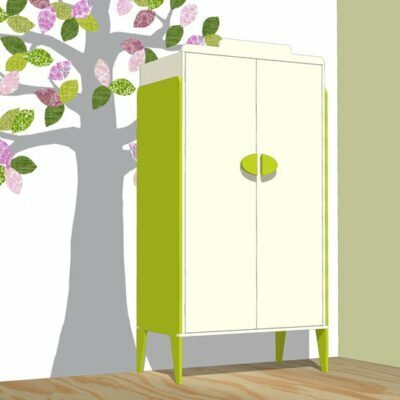 Tighten everything up, allow the glue time to dry and then enjoy your very own self-made furniture!